In the 10 days this blog has been online I’ve spent a lot of time on mobile, and understandably so! It’s the biggest business in tech, and the entry point to computing for much of the world. But, like many geeks, it is traditional computers that have always been closest to my heart, and what is happening to computers by way of the iPad – launched three years ago today – is in many ways the opposite of what happened in mobile. 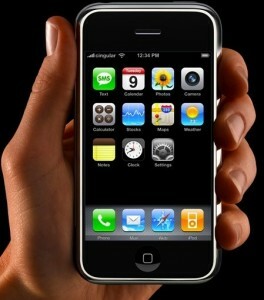 What made the iPhone so revolutionary was the fact that it wasn’t actually a phone. The phone was just another app on the (single) start screen, alongside a calendar, a camera, a calculator, a map, a notepad, a clock, and an iPod. Previously, one’s satchel included each of these items; the iPhone aggregated them into one general purpose computer. The iPhone was a truly personal PC, always with you, fully adaptable to any language or input method, and always connected. Every iteration of the iPhone, or Android for that matter, has been to make it more like a computer, more capable, more powerful, and more indispensable. Today I feel perfectly comfortable leaving the house with nothing but my phone, certain I have everything I need. The iPad, despite being so closely related to the iPhone, has actually gone in the opposite direction. It is not so much a computer as it is an appliance, significantly better at some use cases – reading, drawing, playing games – and significantly worse at others – writing, organizing, editing. In this way it began the disaggregation of personal computing. Instead of using one device for all of our computing needs, we used two. True, you can use the iPad as your only computing device, but most don’t; they simply keep their old laptop a little bit longer than they would have otherwise, and use both.1 And, unlike the iPhone, the iPad has become less like a computer over time; many, including myself, consider the Mini the best iPad yet, despite the fact it is less powerful and less capable. The divergent effects of the iPhone and iPad make total sense when looked at from a human-centered perspective. The phone is often the only device you have when out-and-about, so the more capable the better; the iPad is usually used when stationary, when it’s more conceivable to have multiple devices at hand. In fact, while my Mini is perfect for reading, a larger iPad would be nice for the graphics I make for this blog. And, if one has a choice, why wouldn’t one want to use the best possible tool for the job? So here’s to the iPad, and here’s to perfect tools.